Spring is here. YIPPIE!!!! While that means longer, sunnier, warmer days, it also means the daunting task of spring cleaning is among us. The dreaded clean up could turn out to be quite the task, but it is absolutely necessary for more than just aesthetic reasons. During the winter months we tend to be indoors we lock ourselves in the home all day. 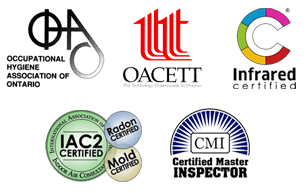 By the time spring comes our indoor air quality can actually be 8 to 10 times worse than the outdoor air quality. Here are a few tips on easy and effective spring cleaning. Firstly and probably most importantly it is important that you tackle the indoor air circulating through your home. So swap out your air filters and open the windows to let some fresh air in. Studies show we spend more than one third of our lives sleeping. Therefore focusing on our beds is a high priority. Stripping your bed and washing sheets and pillowcases in hot water. If your pillows are not down pillows, you can throw them in too. In the dryer, adding tennis balls can keep the pillows from matting up. It is also recommended to vacuum the surface of the mattress, flipping it and covering it with a mattress cover in order to cut down on allergens and debris. Cleaning out your closet should include more than just getting rid of clothes you no longer wear. It is recommended that you take everything out of the closet and give surfaces a wipe down to eliminate any dust build up before returning clothes to the closet. It’s likely you will not skip the bathroom during a head to toe house cleaning, but maybe it’s a good idea to switch up the tactics. If you have a vinyl shower curtain, replace it with a nylon one. They attract much less mold and can be washed. To avoid caustic chemical based cleaners you can use more natural alternatives. Toothpaste for example can be used to whiten tile grout, baking soda can be used to polish the faucets and handles. If your toilet bowl needs cleaning, pouring Coca-Cola and letting it sit overnight is a great natural alternative to toilet bowl cleaner. Much like your mattress, your couch and other living room furniture can be vacuumed. Afterwards it is recommended to cover your sofa with a slipcover which can be washed regularly. Let the sun shine in by giving your windows a good wipe down. Newspaper is a great streak free alternative to paper towel. You will want to be careful though to not have the ink transfer onto ledges. If this does happen, use a microfiber cloth to remove it. Your fridge is the most used appliance in your home. And while it may benefit from a good clean out and wipe down, it’s important to also clean ice trays and remember to clean the filters every three months. Dishwashers and Washing machines are great environments for mold to grow. Substituting white vinegar for detergent and running the appliance empty to knock out mold and bacteria build up, the let it open to completely dry. The biggest surface in your home is your walls. Which contains a high amount of dust which should be cleaned. For pesky marks like crayon, toothpaste is a great alternative to harsh cleaners. Also, vinegar will help remove stickers from the walls. While it is exciting that the winter season is over and spring is among us, spring cleaning is a necessity. 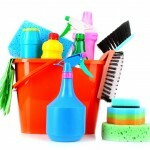 Keeping these easy and effective spring cleaning suggestions and other tips in mind should prove to get you off to a great start while also protecting your indoor air quality.